Sourced from Kota, the range of Kota blue natural stones has color consistency, with less tonal variations. 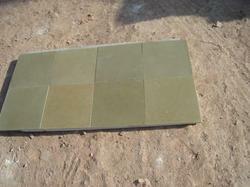 These natural stones are available in different sizes. Sizes: 30X30, 30X60, 60X60, 60X90, 20X40, 40X40, 28X28, 28X56, 56X56, 56X84 and also as per the specific customer requirement. Kota Stone is a fine-grained variety of limestone quarried at Kota district, Rajasthan, India. Many hundreds of mines are located in or near the town of Ramganj Mandi and Kota district. With a unique color and a distinctive surface texture, the kota blue limestones are a preferred choice of architects and designers alike. 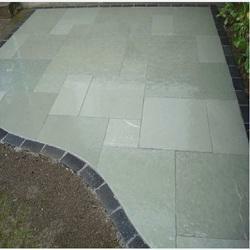 These kota blue limestones are popular amongst the clients due to the alluring color and the surface finish. With a unique color and a distinctive surface texture, the kota blue limestone are a preferred choice of architects and designers alike. These kota blue limestone are popular amongst the clients due to the alluring color and the surface finish.